This article first appeared in haven, The Edge Malaysia Weekly, on Issue #76 December 2015 + January 2016. 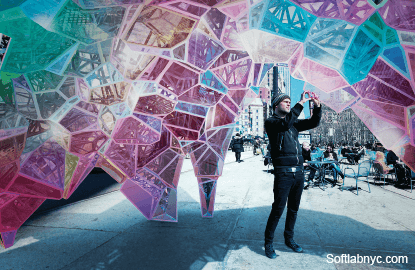 Scoring major points at this year’s Flatiron Public Plaza Holiday Design Competition was SOFTlab, whose NOVA installation won best proposal for a temporary installation in New York’s Flatiron District. 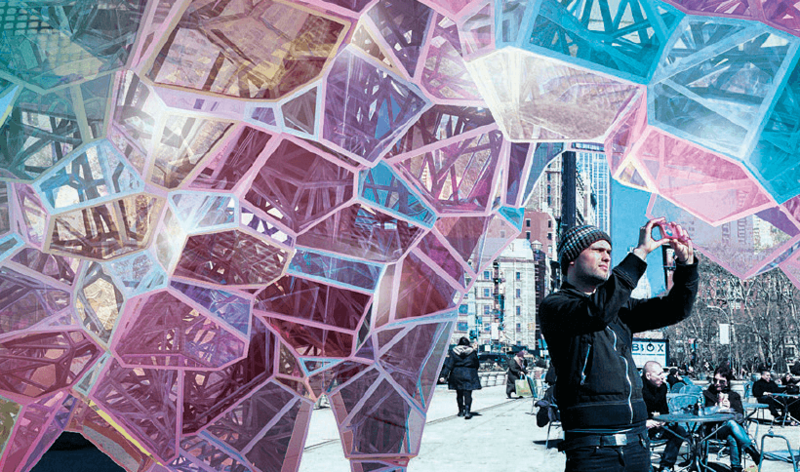 3M Dichoric, a transparent and reflective material, is fashioned into a pedestrian-scale kaleidoscope that infinitely reflects and fragments the surrounding urban context on its mirrored dibond-clad exteriors. The panels filter light to create dynamic colour-changing schemes while the crystalline interior of the installation boasts multiple angles that behave as lenses, through which visitors can enjoy a galactic view of the district’s landmark buildings, including the Met Life Tower and Empire State Building. Launched Nov 18, the winning installation will be on display throughout the holiday season as part of the annual 23 Days of Flatiron Cheer programme, adding festive magic to the anticipated tradition. 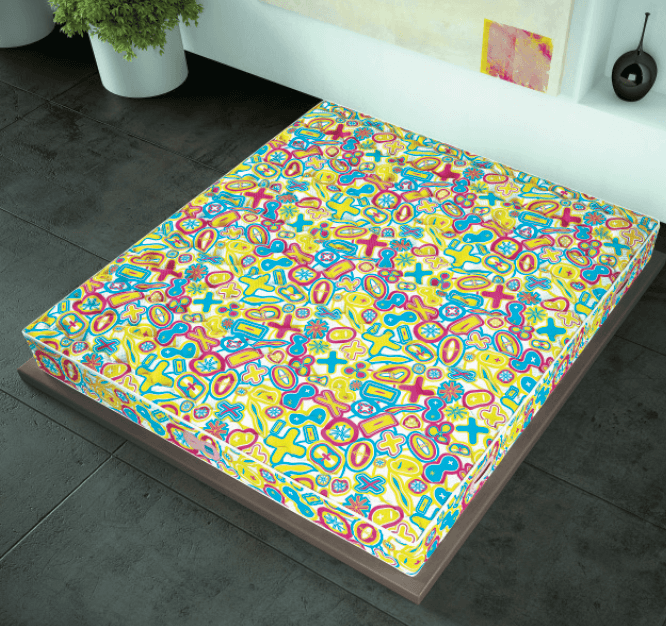 Anglo-Egyptian industrial designer Karim Rashid put his creativity at the service of Morfeus mattresses with a collection of expressive covers called GlobalLoveDream designed to inspire and comfort. Play is a unique mattress cover system and the Karim Rashid for Morfeus collection aims to invigorate the inner team spirit with fabrics informed by sensual curves and vivid colours. The styles include the playful graphics of Ikon and vibrant patterns of the Slink, Jig and Tetris in pink, blue and purple. The removable and washable Play covers are crafted from SilverSave fabric, comprising yarn with pure silver ions and are filled with the anallergic technofibre Silver Active Fill, welcoming the weary with its pleasing aesthetic and exquisite textures. In keeping with its reputation for innovative thought, Brancott Estate created the world’s first Marlborough Sauvignon Blanc in 1979, disrupting the course of the New Zealand wine industry — and now it has invited Studio Dror to its vineyards to translate its spirit into an installation. A shared dedication to pushing the boundaries through new ideas and an appreciation for craftsmanship evoked a natural chemistry between the two that quickly inspired a design. A flat matrix of CorTen steel stretches open to grow into a 9m sculpture of aggregated triangulations, a reference to vineyards and winemaking with their intricate connectivity and beautiful complexity. Titled Under/standing, the geometry of the installation is translated into a functional six-bottle wine carrier called Present, fashioned from electro-coated steel and available for visitors to commemorate the original sculpture and the vineyard visit. 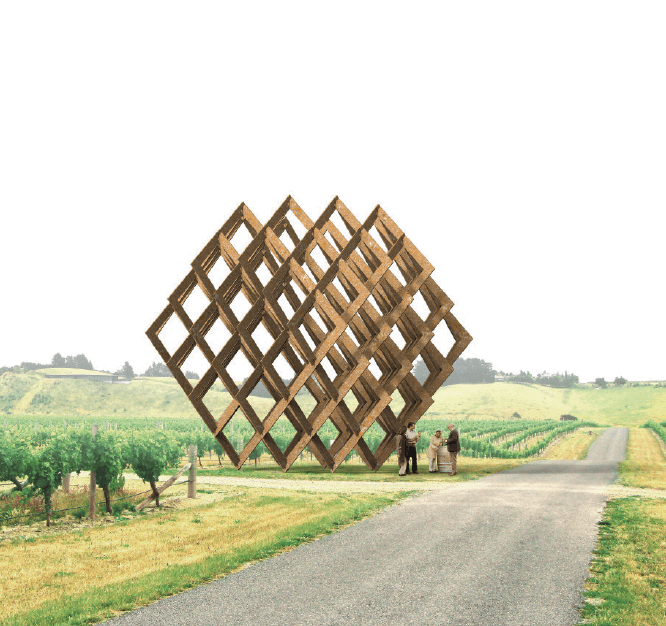 The permanent site-specific sculpture will be erected in Brancott Vineyard next year. As old as time, yet enduring enough to be contemporary, stones carry within them the stories of centuries past while shaping the landscapes of the future through architecture. It is this very mystique that drew Casalgrande Padana to return its gaze to its native Italy in sourcing new materials to craft the elegant Pietre di Paragone collection of flooring and cladding. 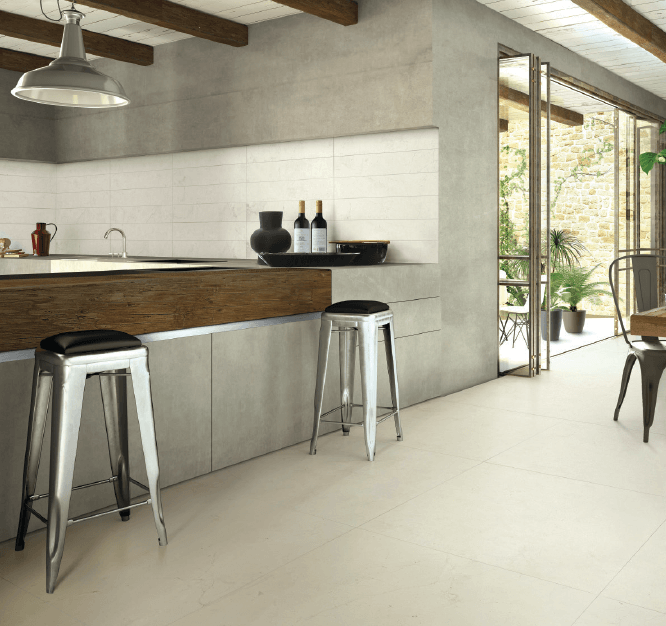 The new series is an exercise in sophistication and versatility, from the typical traits of the Swiss granite Onsernone to Grè from Lake Iseo and ancient Solnhofen from Germany to the velvety surfaces of Vals stone. Technology reinforces them with durability to be resilient against impact, stains and sudden temperature changes, without compromising on the natural attributes and aesthetics of the stones. Daniel Craig may have been the star of the latest Bond flick Spectre, but it’s hard to ignore the stunning Moroccan interiors that took centre stage when 007 landed in this North African nation, distinguished by its Berber, Arabian and European cultural influences. If the hand-chiselled brass-embellished mirrors, antique brass geometric wall lighting and tribal-patterned rugs featured in the film caught your eye, you can pick them up at London-based Moroccan Bazaar. 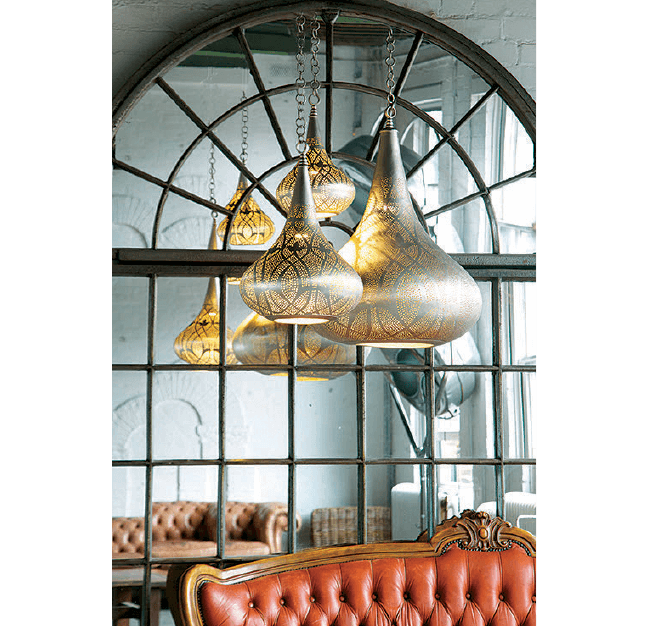 In its 15,000 sq feet Aladdin’s den of a showroom, find a delightful range of lighting accents that are authentically Moroccan, from traditional and contemporary wall lighting to floor lamps, wall sconces and ceiling pendants. Other hand-crafted accents you might like to shop for at Moroccan Bazaar include wooden dressers, drawers, rugs and vases — a one-stop shop to recreate the mystery and romance of Morocco in your home. Space Furniture is proud to announce the recent endorsement by the Singapore Green Labelling Scheme for the use of recycled materials in the particle board made by Italian furniture designers Poliform and Varenna — brands dedicated to delivering the highest quality by using the best raw materials to manufacture their design collections. 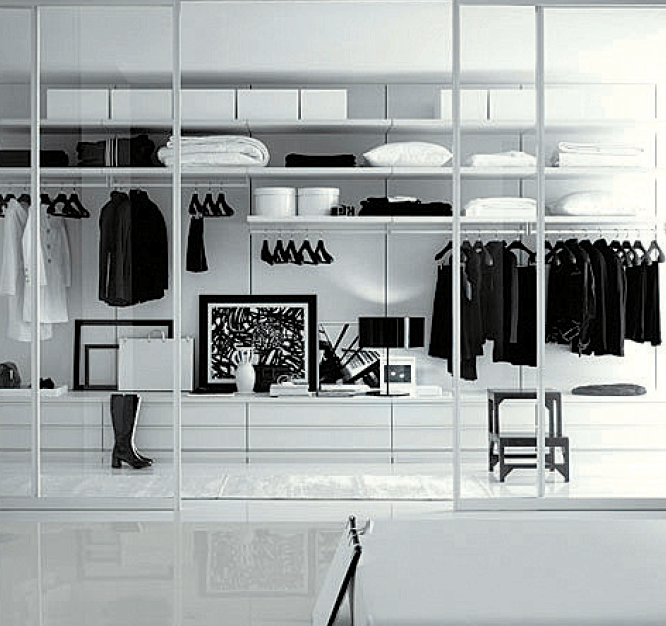 Often used by luxury residential developers in Singapore for its commitment to environmental protection, the Poliform collection includes systems and furnishings for the whole house, including bookcases, storage solutions, wardrobes and beds. In 1996, the company added kitchens to its collection through the acquisition of the Varenna brand and is recognised today for its design and workmanship. In 2006, Poliform expanded its collection to include sofas and complementary upholstered items for the home. 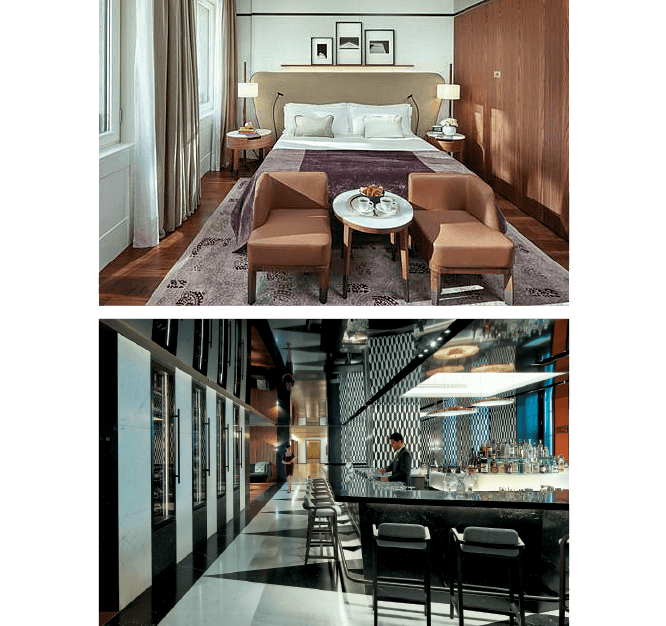 Mandarin Oriental’s new hotel in Milan combines the best of Asian traditions with the functional and artistic design style of Italy. Located in Via Monte di Pietà, the hotel occupies four 19th century buildings, renovated and restored based on the homes of the Milanese upper class from the 1930s to create a contemporary, residential-style ambience. The furnishings of B&B Italia and Maxalto perfectly match the style of these sophisticated and elegant interiors, which include guest bedrooms, suites, dining spaces, a spa and outdoor lounge areas. Jean armchairs furnish the reception area; Lucrezia sofas outfit the amazing Mandarin Bar Bistro, all in optical black and white tones; velvet-covered Febo chairs dress the sophisticated Seta restaurant, and the Fulgens chairs paired with a custom made marble table furnish the private dining room. The Charles Outdoor sofas and the Papilio Outdoor armchairs are the unmistakable focal points of the outside areas, while the Febo armchairs and sofas create a private ambience for the bedrooms and suites, while the majestic Alcova canopy bed stands out in the presidential suite.